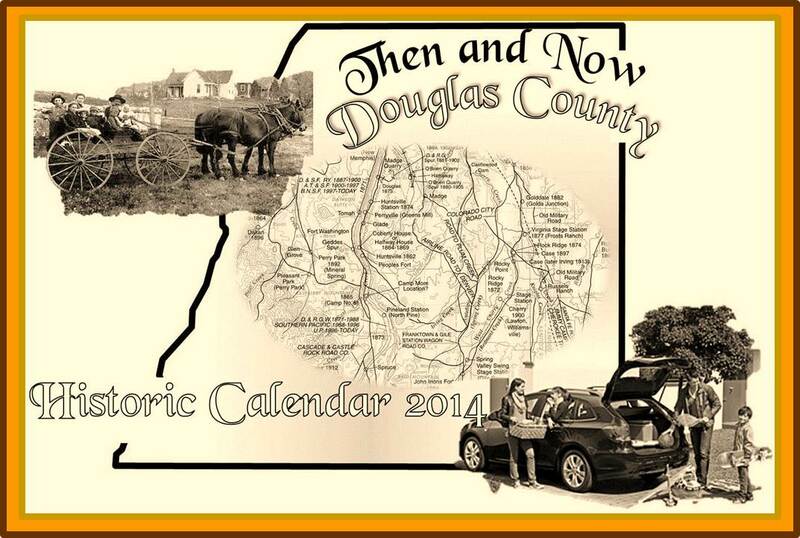 2014 Douglas County Historic Calendars. "The Past " with "Now " in Douglas County. This calendar is a "MUST HAVE" ...not only for telling what day it is but for collectors of Douglas County history - $5. We wish to welcome and thank all our new and renewing members from November! Christie Wright will be presenting an overview of her book, "South Park Perils: Short Ropes & True Tales." This slide show will include a brief history of Park County, CO where the stories are set and an overview of some of the historic outlaw and murder stories. We will take a journey through historic Park County during Colorado's "Wild West" outlaw era in the latter half of the nineteenth century. The stories of notorious criminals and descriptions of evil deeds makes this a fascinating program. "With Christie's careful and comprehensive research, one gets the feeling of being transported to the crime scenes as she describes the events and the happenings surrounding each story of the misdeeds of Park County bad guys. We look forward to seeing you at this final meeting for 2013. Christie Wright will be presenting an overview of her book, “South Park Perils: Short Ropes & True Tales.” This slide show will include a brief history of Park County, CO where the stories are set and an overview of some of the historic outlaw and murder stories. Take a journey through historic Park County during Colorado's outlaw era in the latter half of the nineteenth century. The stories of notorious criminals and descriptions of evil deeds make fascinating reading and make the book a perfect companion for exploring the South Park area.